TL;DR - I spent five years earning a side income by drawing and selling cartoons to magazines, mostly of various animals in business suits. I found the cartooning industry to be old-fashioned and inefficient. So I’m building a product to disrupt the industry and help cartoonists make more money from their work. 2017 Update: If you are a cartoonist reading this to learn how to make money from cartoons, I am sorry to say I have shifted all my focus to consulting, and no longer maintain GagCartoons.com. I’ve held three full-time jobs in the past five years—naval architect, web project manager, and finally marketing consultant to software companies. Throughout that time I did at least one thing consistently: I drew single-panel cartoons and sold them to magazines for publishing. 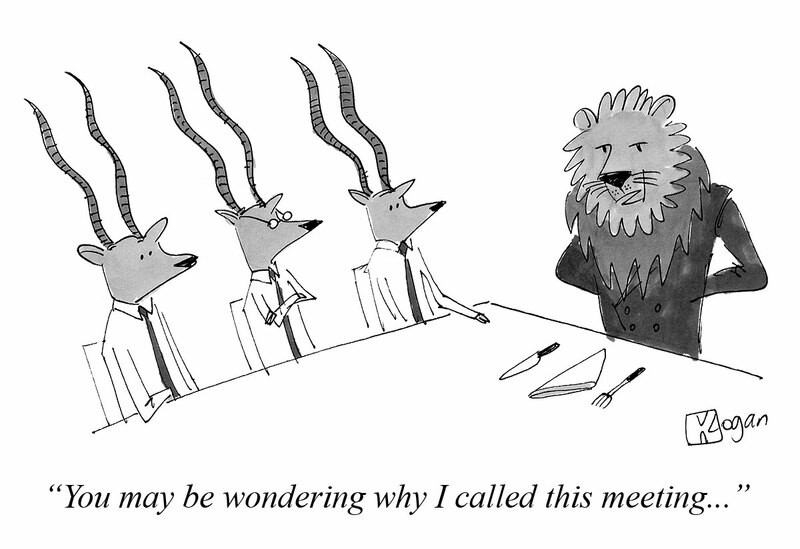 You may have seen cartoons like this in the New Yorker and Harvard Business Review, for example. I was one of the people who wrote and drew such cartoons. With a payout of $150-$700 for each published cartoon, I was making an okay amount of spending money just from drawing (mostly) animals in business suits saying ridiculous things. This cartoon was published for $650. I think I drew it solely because I enjoyed drawing the antelopes’ wavy horns. The success-to-failure ratio is abysmal. An established cartoonist will, on average, sell only 1 cartoon for every 20 they draw. Few magazines pay decently for cartoons. If a cartoon isn't selected by any of them, its earning potential drops close to zero. Magazines only want non-published cartoons, so a cartoon can earn money only once. Because of this, each cartoon’s earning potential goes from slim to zero very quickly. Many cartoonists have thousands of cartoons collecting dust in some drawer or digital folder, not earning any money. Not because they have no value, but because of the aforementioned three factors. This cartoon made me $150 when it was published in 2009, and its earning potential dropped to zero. I wondered if there was a way to realize the value of my unpublished cartoons. If I could find a way, then I could also tap into the value of the tens of thousands of other people’s unpublished cartoons. 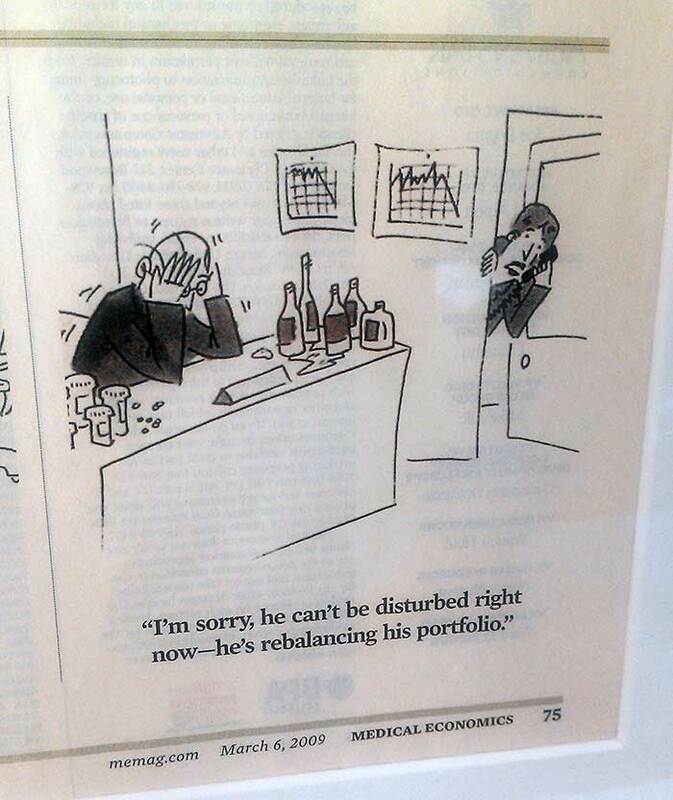 What I found was these single-panel cartoons complement not just print magazines, but also blogs, corporate newsletters, presentations, and so on. There are vastly more people creating presentations on a daily basis than publishing magazines. It turns out there’s a demand (not a big one, but greater than zero) by bloggers, business people, teachers, and others, for funny cartoons. 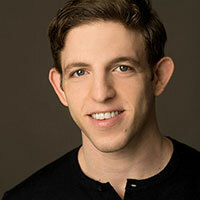 Two notable bloggers who regularly use cartoons are Jason Cohen and 42Floors. The New Yorker makes all their published cartoons available for licensing online. One UK-based company makes a large number of cartoons available for licensing online, from various artists, just as ShutterStock does for photographers. A few cartoonists were able to dedicate enough money to develop and market their own websites where their own—and only their own—personal cartoons can be licensed. It's incredibly difficult to get cartoons published in the New Yorker and therefore get a cartoon into their system. Even if you do, you're still left with cartoons that didn't make it. The UK-based company has lower barriers to entry, but their website is terribly outdated and inefficient. It's cumbersome for users to search and license cartoons, and they're not doing enough to maximize cartoonists' revenue. Few cartoonists have the skills or resources to A) develop a full e-commerce site, and B) compete against other businesses and individuals. Taking all this into consideration, I decided to change course. Instead of drawing cartoons and trying to get them published, I’d create a product that would help cartoonists profit from their unpublished cartoons, while meeting people’s demand for affordable, easy-to-find, and high-quality cartoons to use. And so I created GagCartoons.com. GagCartoons.com is a collection of cartoons from various artists. The collection is easy to browse by topic or keyword, and the cartoons are very easy to license and download (a two-click process). 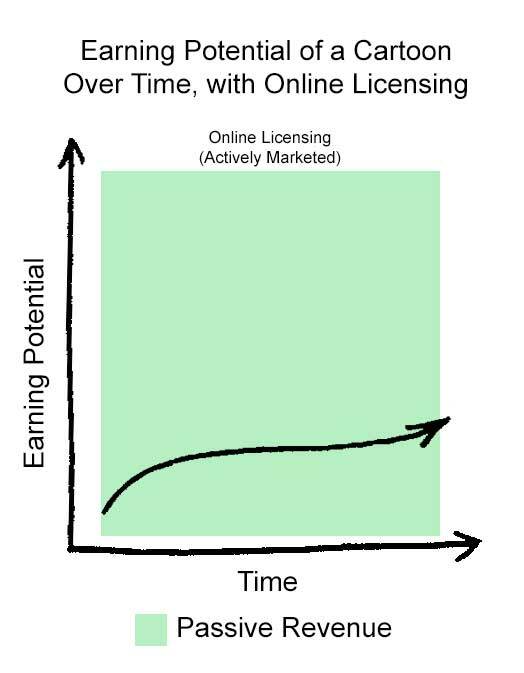 As a licensing market that doesn’t limit how many times a cartoon can be licensed, it increases a cartoon’s earning potential for as long as it’s on the market. Cartoonists can passively earn money from cartoons that would otherwise collect dust. The platform helps realize the value of cartoons even after they’ve been submitted or published to magazines. Unlike selling to publications, there’s no work required from the cartoonist other than uploading the image files. 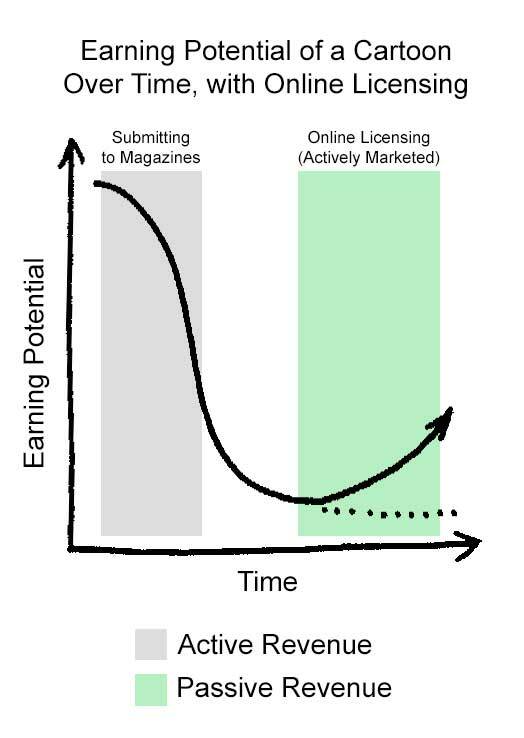 Not only will the cartoons’ potential earning value go up, it will continue to grow because—unlike the two existing platforms—I will use my marketing and optimization knowledge to sell more licenses. Cartoonists can even bypass the tedious magazine submission process entirely, and earn revenue just from online licenses. An easier way to earn money from cartoons. It’s currently in a proof-of-concept form (MVP, if you prefer), and I’m dedicating about 20% of my time towards growing it into a profitable business (both for myself and the cartoonists it represents). I’m always interested in reading about the behind-the-scenes aspects of a project or business, so I’ll do the same for this project. I hope you’ll find it interesting and educational. In the next post I’ll share the current state of the project, metrics, short-term challenges, and how I’m dealing with them. Stay tuned! Did you find this interesting? Is there a specific area you’d like me to cover? Have any questions? I’d love to hear it all, so leave a comment below!